Does anyone else think this summer has had some of the oddest weather? It has been extremely hot - or unseasonable cool where I live. It rained all June - and now we have not had a decent rain in almost a month! And, this week the weather has gotten cool - so much that it almost feels like fall is starting. And, I think our flowers are starting to think it's fall soon, too, because they are starting to die. In preparation of fall, I think this dress that is 40% off would be a perfect late summer - early fall outfit. I could also see adding a turtleneck under the dress in the fall. This cozy fleece pullover that is 40% off. This fun weekend bag that is 20% off. My favorite necklace that is 40% off. This cute sweatshirt is 40% off. This wrap skirt is an extra 60% off. This new arrival tunic sweater. I cannot believe this sweater is only $4! This striped top is new. This teddy bear coat that is on sale! These very popular leopard mules. That sundress is so pretty! I love it with the denim jacket! 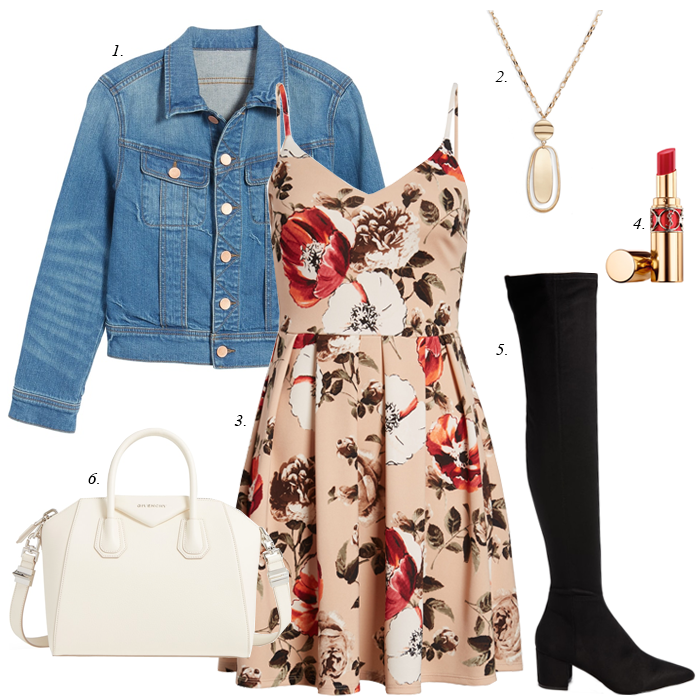 I just adore dresses with jean jackets!! What a pretty one and speaking of pretty..I hope you have a terrific Tuesday my friend! Love how you made this perfect for Fall, Stunning dress and boots!